The Online Calendar is underway... Explore 24 days of multi-media digital distractions created by diverse contributors from Bristol, UK. For press releases please select a date below to find out more about each individual contributor and the digital treat they have to offer. Press images are 300dpi, CMYK print ready '.tif' in a compressed stuffit file (free expander required). The small image is a preview of the full-size tif. For each of the logos below, you may either download print-ready artwork in a stuffit file (free expander required) or as a high-quality jpeg. 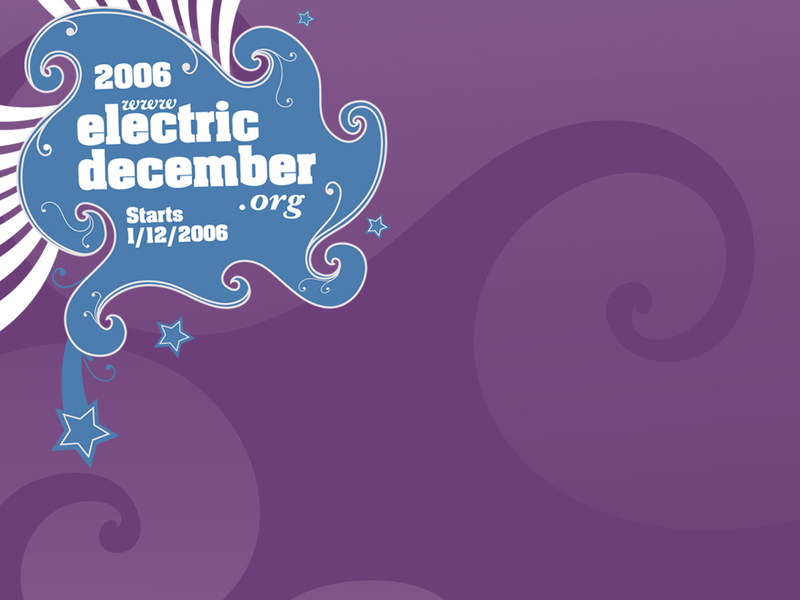 These website banners can be freely used on your website as publicity for Electric December 2006. Right-click on the images to download/save to your computer. 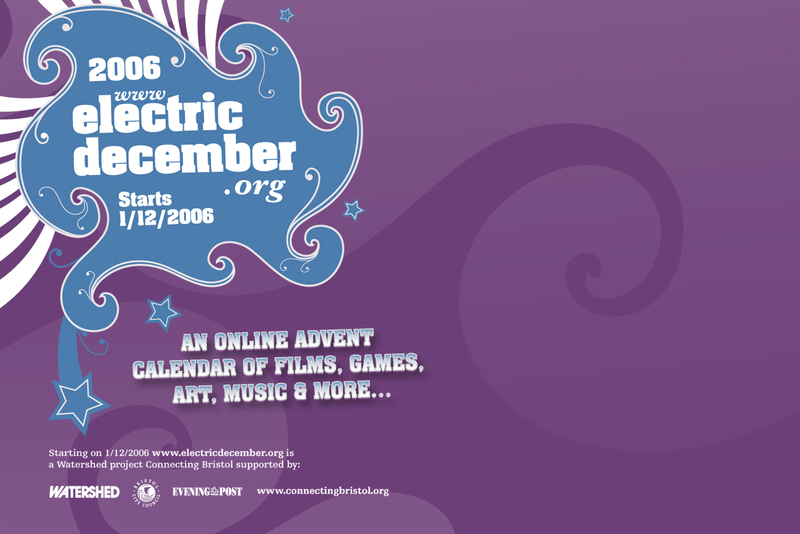 Please make sure the banner contains a working link to www.electricdecember.org/06 when you add it to your website. 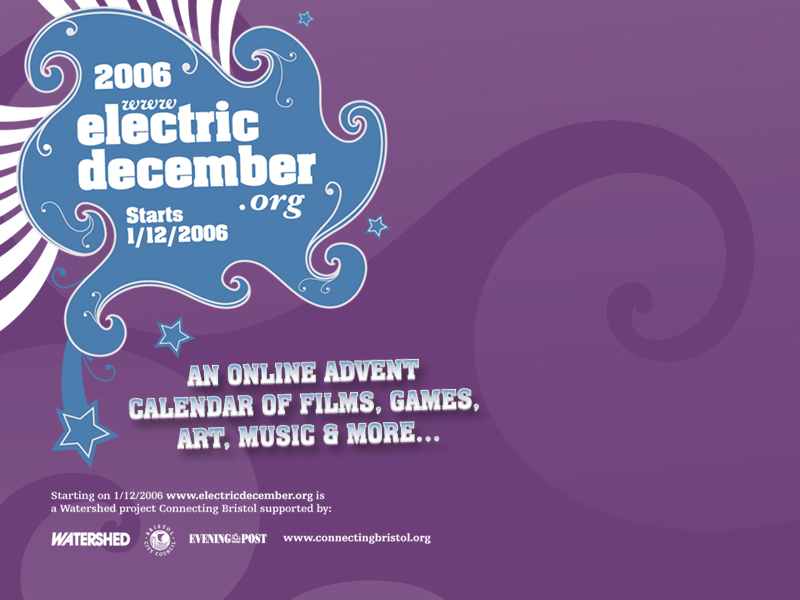 Have an Electric December desktop this winter! Right-click on a screen-size link to download/save one of the jpegs below to your computer.